Shirley Brice Heath writes about the connections (and lack of connection) between work, family and school literacy practices in her ethnography of literacy in two twentieth century mill towns. Roadville is white working-class community of families who have been a part of mill life for four generations. 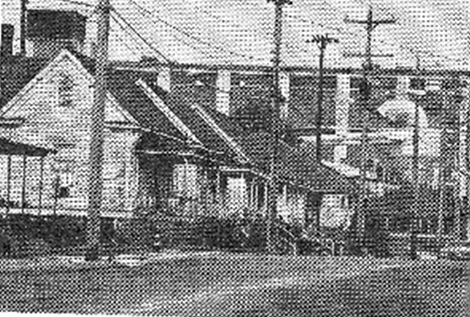 Many of the older residents remember life in the Appalachian Mountains and the move in the early decades of the twentieth century to a small mill community in the Piedmont. They speak of these days as the time when their children first began going to school instead of working in the mill. Baseball games, summer canning season, church life, and a general sense of security mark their tales of these times. But the Depression uprooted them from this comfortable life, and oldtimers wistfully recount the trek from the small mill community to mills around Alberta, a major metropolitan center in the Piedmont. They remember their discontent with “city life” even then, and their subsequent search for a smaller town and a mill which seemed to have some of the promises of cash, housing, credit, and recreation they had known in their first move from the mountains. They finally settled in Roadville, a neighborhood of mill houses around Laurence mill, formerly owned by the Laurence brothers but run since the 1950s by a northern firm. The town of Laurenceville in which Roadville was located seemed small enough that, even without the help of the mill, they could work out credit arrangements, build their church, and spend their leisure time among people who shared their history of experiences as members of mill communities. The younger generations acknowledge, but do not share, their elders’ gratitude for and sense of belonging to the mills. Resentment over unionism, health hazards, and blacks in the mills runs high among the young. Now most of the young people in Roadville care little about the mill in their future planning. They are looking to be on their way up and out of the mills. Trackton is a working-class black community whose older generations have been brought up on the land, either farming their own land or working for other landowners. Old and middle-age residents remember the cotton fields, tenant housing, and long hours of work in those seasons of the year when saving the crop drove landowner and hired hand alike. Fresh in their memory is the move less than two decades ago to Gateway, a mill village in the early 1920s but now a town of nearly 50,000 people. There the big northern-owned mills were hiring blacks; the wages were good and the work was out of the hot sun. There was now a real hope of being on the rise, pulling themselves away from a dependency status on the land and on the landholders’ dictation of space, time, and kind of work. In their jobs as mill executives, insurance salesmen, real estate salesmen, businessmen, schoolteachers and administrators, the townspeople replay and expand the routines and habits of using oral and written language they and other members of their families practice with their children at home. For a mill executive, a day’s job begins when he checks incoming directives on production quotas, changes in machinery, and shifts in names of fibers or processes. Much of the material which comes to him from the central offices of the mill provides samples of new advertising, and old and new labels for fabrics are prominently displayed in the advertising. He reads the summaries, scans the details of directives, and jots notes on a yellow legal pad as he reads. He marks beside certain items on his yellow pad a large question mark; he gets up often to check files behind his desk, and after an hour or so, he asks his secretary to place a long-distance call to the central office. As he waits for the call to go through, he consults his yellow pad, and when the telephone buzzes, he picks up the phone, identifies himself, his mill location, and refers to the memoranda he has just scanned by a brief summary or abstract of their contents. He then asks several definitional or what-explanation questions, checking off those items on his yellow pad which were marked with large question marks. As he talks, he jots notes on the pad. He collects those bits of information needed to fill out the content of the mailed materials, and just before he ends the conversation, he asks the party in the central office if he knows why certain changes were made and what his view is of the effects they will have on production quotas. The request for reason- and opinion-sharing initiates only a brief exchange. At the end of the conversation, the mill executive turns to a new sheet of the yellow pad, jots down a dozen or so points which incorporate the bits of information he has accumulated on the phone into a sequence of topics; he then dictates the agenda for a meeting with mill supervisory personnel to take place within a few days. In the afternoon, he calls in several top-level managers for a routine weekly meeting, during which he briefs them on the morning’s memoranda from the central office. The managers are not now given the information to read; they are given an oral abstract of the memoranda they will receive later in the day, and asked to be prepared at the next meeting to discuss specific points of action the changes mentioned in the memoranda may make in mill operations. During the meeting, discussion centers on the need for more detailed descriptions of particular jobs, the possible need for a general plant memo on safety rules to be distributed, and the revision of employment interviews. Townspeople carry with them, as an unconscious part of their self-identity, these numerous subtle and covert norms, habits, and values about reading, writing, and speaking about written materials. As children, the townspeople learned the rules for talking about and responding to books and writing tasks; they came to accept retrieval of the structure and information of written texts as critical to the presentation of form and content in their oral texts. In school, they found continuity of these patterns of using oral and written language, as well as an increasing emphasis on expository talk and writing around events or items not physically present, but referred to in written sources. Once on the job, they met these now thoroughly familiar tasks, and they achieved success in their profession by displaying their skills at performing these tasks. In banks, stores, insurance offices, churches, the tennis and swimming clubs, and the mill’s executive offices, they found these ways institutionalized. Throughout their home, school, and work life, successful interactions depended on individuals being able to talk from and with pieces of writing which were integral to appropriate interpretation of on-going events. When their own children are born, they begin to play again the same script they have followed since childhood, secure in their own success with the necessary roles and lines. They believe their ways of talking about what is written and responding to the content of written materials will impart to their young the necessary skills for achieving school and job success. For them, these ways of thinking and behaving are natural, and they expect others to share them. For the children of Trackton and Roadville, however, and for the majority of the millworkers and students in Piedmont schools, the townspeople’s ways are far from natural and they seem strange indeed.